One key advantage of a Juliet balcony is that you don’t need to get a permit from the city to build one. They also add texture in an otherwise bland and monobloc building. 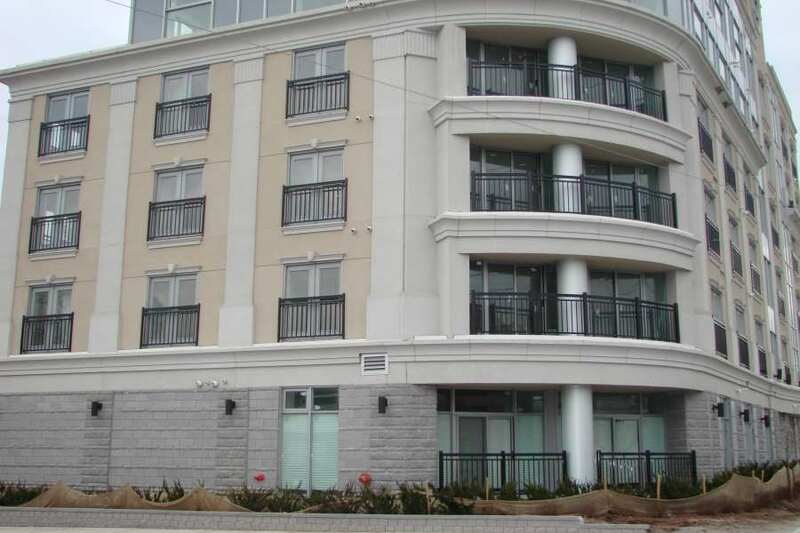 Finally, Juliet balconies are cost-effective compared to the full balcony for obvious reasons. The use of balconies can be traced back to Ancient Greece although they were built more for functionality rather than aesthetics. For instance, they served as additional airways to cool the humidity inside these heavy stone structures. The Juliet balcony reportedly started sweeping through Europe in the 18th Century although the exact date when this happened could not be ascertained. However, aesthetics took precedence over function. People loved their elegance and sophistication, and they add another element to their homes. The Juliet balcony was embraced in the UK during the Regency Era starting in 1811. This design was popular during the reign of George IV who was known for his extravagance and tendency toward exaggeration. Why is it Called a Juliet Balcony? As you might have speculated, the Juliet balcony was named after one of Shakespeare’s most famous characters, Juliet Capulet. Everybody knows the tragic story of Romeo and Juliet, the star-crossed lovers whose love couldn’t survive the long-standing feud between their two families. But this only adds the romanticism of the design, which contributed to its popularity among architects. How to Beautify Your Juliet Balcony? There are many ways to bedeck your Juliet balcony. One way is to give it a modern twist. For contemporary homes, instead of the traditional railings, they can use an all-glass Juliet balcony instead. This also enables you to extend the interior of your home outside. You can also put in narrow benches and chairs on your Juliet balcony. For the most part, however, people have been decorating their balconets with plants and flowers. They even converted it into their very own potted vegetable garden which, admittedly, takes functionality to another level. Can You Stand on a Juliet Balcony? They are mostly aesthetics as in most cases, people can’t stand on them in the first place. 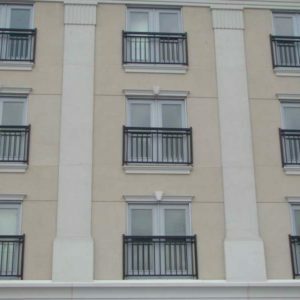 However, one purpose of a Juliet balcony is security and safety. This will allow architects to install glass windows that can be opened, allowing more light and air in. It’s perfect for vertical apartments where it gives an illusion of being in the outdoors. There are some Juliet balconies that allow a person to stand on them. 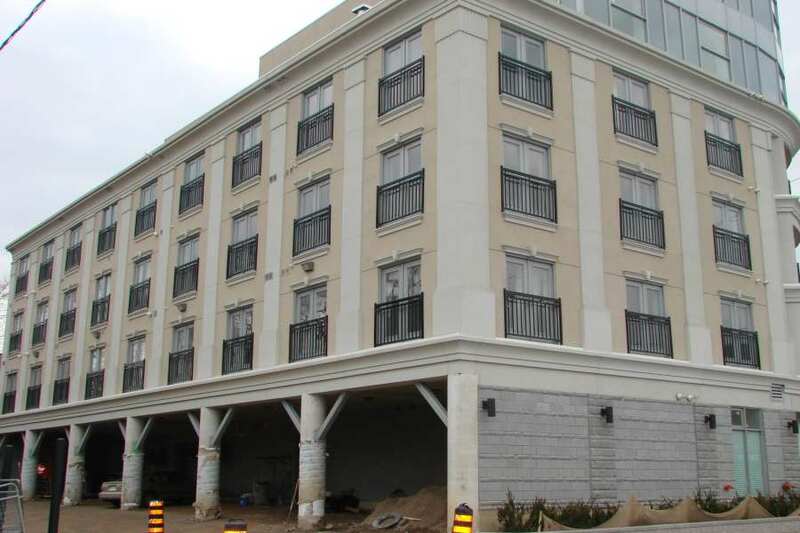 But cramping 2-3 people in these structures would be too much of a stretch. The building regulations covering Juliet balconies are pretty straightforward, especially in the UK. The main legislation is called The Building Regulations 2000. One of the provisions covers protection of collision, falling, and impact. Meanwhile, Sec. K2/3 3.3 outlines the height of the railing and guard to protect the inhabitants, especially kids, from falling. For instance, the height should not be less than 1.1 meters high (1100 mm). Another rule is the BS 1722-9 2006, and this one covers the space in between the bars. The law says that it shouldn’t exceed 10 centimeters (100 mm). This will ensure that toddlers don’t squeeze their heads in there and get trapped in the process. 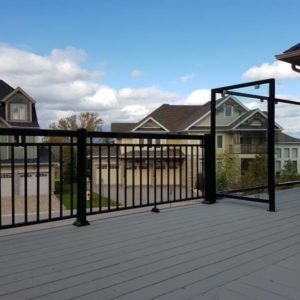 Nevertheless, certified and licensed manufacturers of guardrails, backyard gates, and railings are knowledgeable about the regulations covering Juliet balconies. But you have to work only with contractors that are licensed by the city. 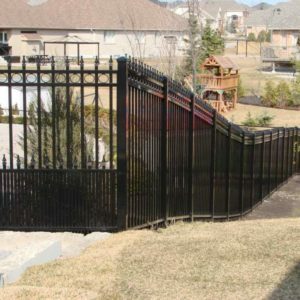 Safety is not something you should compromise when it comes to your home. Besides, you might get fined by the building regulator for violating the minimum standards for Juliet balconies. There are many types of Juliet balcony. Actually, you are only limited by your own imagination when it comes to the design. Traditional — This type of design typically utilizes wrought iron or cast iron. The design can range from the most basic to the most ornate. 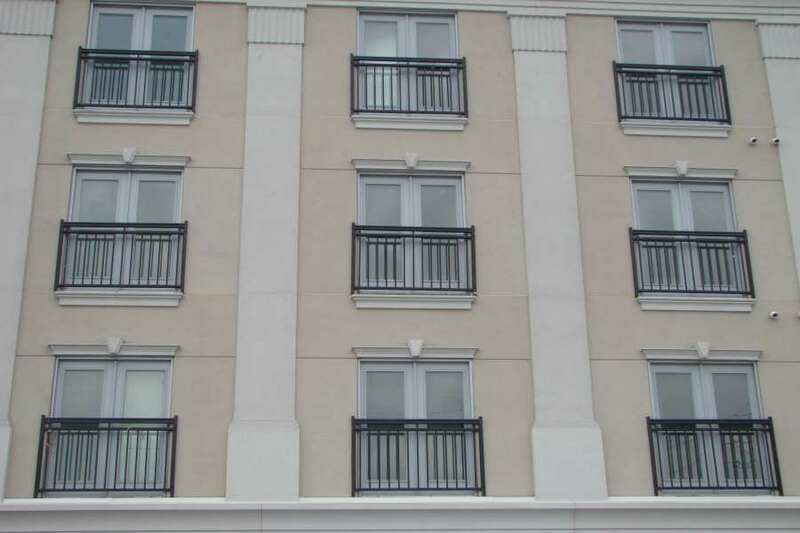 The traditional Juliet balcony is typically installed on more traditional architectures. They serve to enhance the structure rather than be the central focus of the whole design. And because they are made from steel, they need more maintenance as they are prone to rust. They also need to be welded properly for safety reasons. Contemporary — As the name suggests, this one is perfect for modern-style homes that feature clean architecture. The design feature is clean, sharp, and edgy, which are characteristics of modern and modular homes. 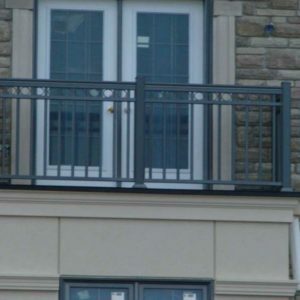 A common material for a modern Juliet balcony is glass, stainless steel, or aluminium. One advantage of using glass is that it gives homeowners an unobstructed view of the outside. It provides the illusion of a bigger space. This is valuable when you are scarce for space. In terms of structure, aluminium or stainless steel used to support the glass is reduced to the minimum without necessarily compromising the safety of the inhabitants even if they open their French or glass windows wide. Curved — Just by the name alone, you already have an idea of the type of design you can expect from the curved Juliet balcony. 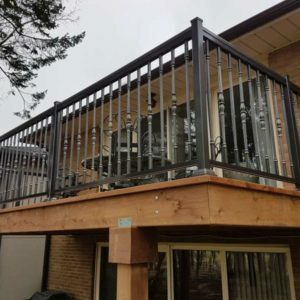 For safety reasons, this type of balconet will need more support because of the limitations of the fabrication. 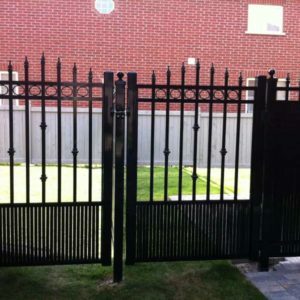 You have typically longer steel to achieve the desired look. Of course, the longer the material is, the more it will have stress points that needed to be bolstered to support the load. Typically, a Juliet balcony no longer requires planning permission in the UK or anywhere else. We say typically because there are always exceptions. Our specialists should be able to explain to you the planning permissions on installing a Juliet balcony. With our long experience in the industry, we make it a point to apprise ourselves on the latest rule changes in installing Juliet balconies. Nonetheless, you can also inquire from the local planning office for clarification. Should planning permission is required, we will take care of this process so you don’t have to. Do I Need Building Regulations for a Juliet Balcony? Short answer, yes. Any part of your home, including expansions and additions, is covered by building regulations. The Building Regulations Act 2000 is considered the bible of the city in enforcing rules covering commercial and residential structures. 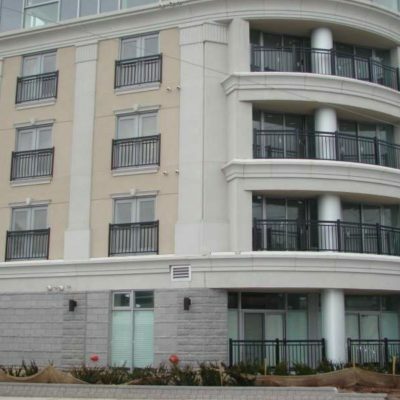 Juliet balconies are covered under Part K of the law. As already mentioned, you need to mind the space between railings, as well as the height of the top rail from the floor. 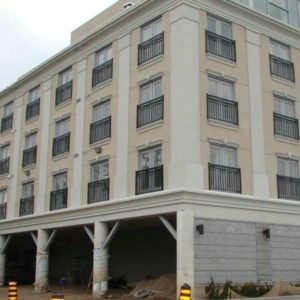 When it comes to balconies in general, the rules and regulations will depend on where you are located. Each city is covered by a different authority. Again, we have both the expertise and the experience in installing Juliet balconies according to the regulations of the locality. 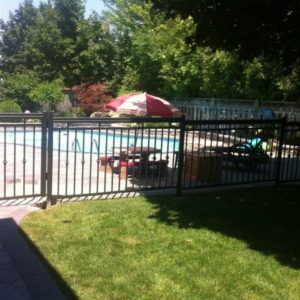 This is why it’s important that you always work with a professional company with the required certifications and permits from the city or town. 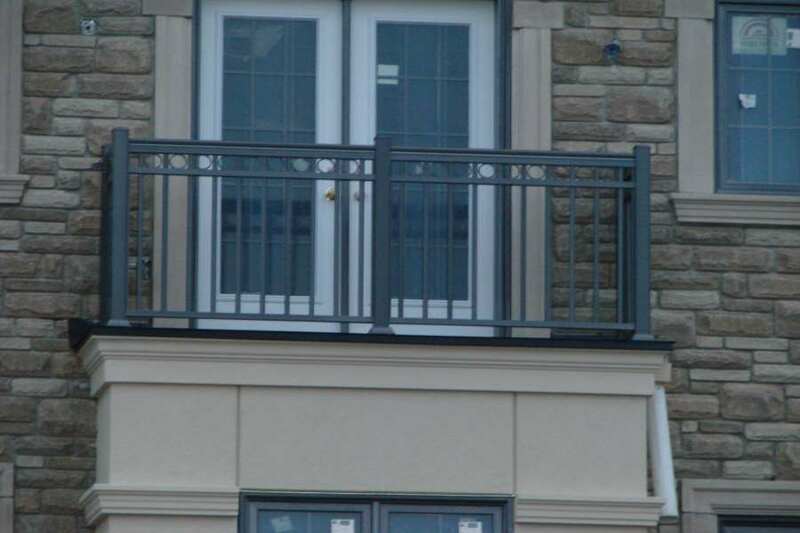 A Juliet balcony can either protect a door or window, depending on the design. Of course, if the structure is meant to protect an inward-opening door, different regulations should apply compared to, for example, a glass window that opens halfway. 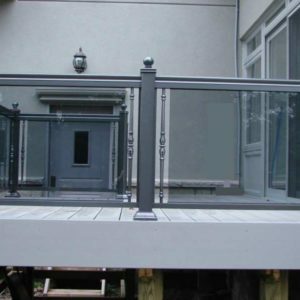 The balcony door can be titled or turned inward for easy access and cleaning. For Juliet doors, the balconet is designed as an extension of the indoor space. This means the structure should support the load according to the minimum standards set by the building regulations.